A soldier going into battle without a helmet is as ridiculous as it is unlikely. So too, must wizards protect themselves when they are traveling the invisible realms. 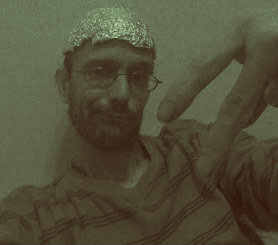 There are many ways of shielding and protecting oneself from unwanted invisible influences but none is as effective and controversial as the classic Aluminum Foil Hat. 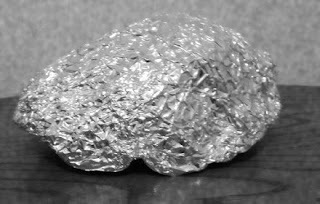 Whether you are an experienced wizard who needs a little extra something for an emergency, a brand new wizard seeking to temper the onset of psychic phenomenon, or a crazed street person trying in vain to block government rays, an Aluminum Foil Cap may be just what you are looking for. Before constructing a cap of my own I was constantly bathing in strange concoctions and smearing all sorts of oils all over my body and lighting candle after candle to keep the supernatural horrors I encounter every day as a professional wizard at bay. 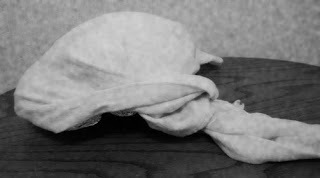 Now, I simply slip my inexpensive, homemade Aluminum hat liner under my hat or hood and just like that I'm ready to summon or banish whatever is needed to complete whatever task was made easier by having an Aluminum Foil Cap. Making your own Aluminum Cap is simple and inexpensive. All you need is some Aluminum foil and the kind of willingness to embrace new and weird ideas that stems from diving too deeply into the mysterious sea of yourself and nearly drowning. I assume you have one or both of these things. A bandanna is optional. To begin making your cap, start by tearing a pretty long piece of foil off the roll and folding it in half. Now you are almost ready. Just wearing the cap like this will provide an acceptable amount of protection against spirits, bad mojo, and government rays but will also make it easy for the ignorant to mock you. Ain't no party like a wizard party, because no one invites a wizard to a party. The Aluminum liner will, as an added bonus, make it easy to take your bandanna on and off like it is really a hat. You can always use an actual hat on top of the protective layer of Aluminum instead of a bandanna, like the Pope does. 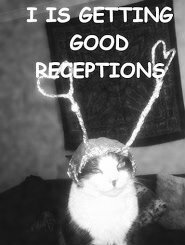 That's just about all there is to know about making and using an Aluminum hat for spiritual and psychic protection.